Teaching does not imply learning. If we comparare traditional face to face courses with online asynchronous courses we will see that traditional face to face courses usually only focus on the ‘transference” phase. This means the teacher speaks the learners listen with little or no interactivity. 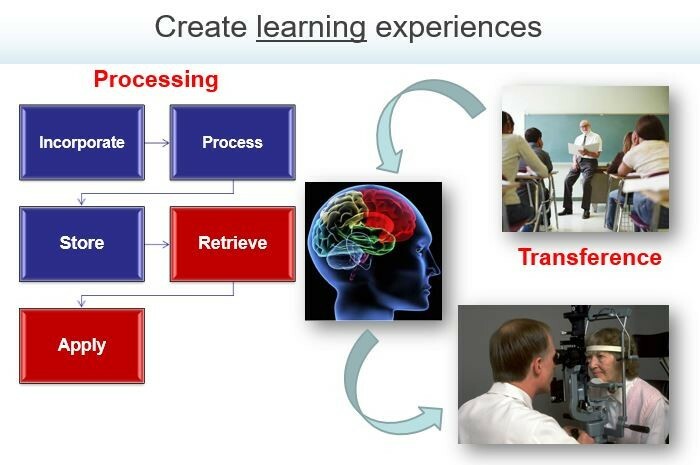 For learning to happen our courses should also focus on the “processing” phase, where learners incorporate, process, store, retrieve and practice, applying the new knowledge or skills to real life scenarios. You will be able to find a more detailed discussion clicking on this link.